Attic window prices are going to vary tremendously based whether you are looking at replacements or are adding an entire section to your home (considered new construction). Pricing for the window itself will be roughly the same as other window types, although the location of attic windows can make theinstallation portion more difficult and therefore more expensive. If the entire attic is added to the house, the cost for the windows will be higher than with a replacement. <img style="border: 0pt none; float: left; padding: 10px 10px 0px 60px;" title="attic windows" src="http://www.replacementwindowsconnect.com/images/attic-window-5.jpg"
Entry level prices will typically be a fixed frame window with a vinyl frame. Fixed frame means they are inoperable and cannot be opened, i.e. they provide no means of exit in case of a fire. The glass will typically be standard and won’t include energy efficient upgrades. Entry level windows also mean standard sizes and nothing custom. 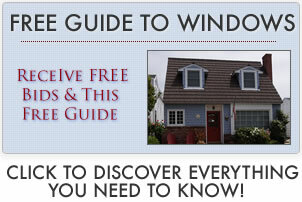 Standard attic windows might be a high end vinyl or lower end wood, composite or fiberglass frame. The window glass may have a standard upgrade to low-e efficiency or argon fills. They will probably be a movable window type such as a single hung, double hung, casement or awning, which allows for an exit or fire exit. The window might be larger in size and may or may not be custom made. High end attic windows will ususally be a wood frame, possible with an aluminum cladding on the outside to protect the frame over time. Often, they will be large windows and/or multiple windows mulled together that are custom made. Expect high end glass to have high energy efficiency features and high insulating qualities (if you live in colder climates) or low insulating qualities (if you live in warmer climates). Expect to pay $175 to $800 for attic window installation. A local contractor might charge $175 to replace existing attic windows. The cost of installation can go up very quickly from here, especially for custom work and/or new construction which involves framing, sealing, materials and finish work.